My throat chakra has required the most work, attention and feelings of discomfort. Speaking my truth freely has not always come easy. I think of the throat chakra as associated with assertiveness. Whenever I teach communication or anger management skills to my students, I try to teach them how to be assertive, as opposed to aggressive, but not being passive, as is generally their fear. As I look back on my own history of passivity and aggression, I realize it has been a long journey into assertiveness. I have historically been much more passive in terms of speaking up for myself and my rights. I have always tried to be the peace maker in my family and in my place of work when others argue. When I got very honest with myself and truly explored this chakra, I realized I I felt there was a history of secrets in my family. When something was shameful or wrong, we would hide it from one another, instead of asking for help. There were many times when I was told not to tell about something that was occurring, because it was only our business. From these secrets, I learned to create my own and did not feel comfortable sharing shameful or troubling situations about myself with anyone. I rarely asked for help and learned how to navigate life on my own, though not always successfully. Although I am not of the opinion that I or anyone needs to overshare inappropriately, I do feel that open conversations with loved ones who can be trusted and are supportive are so incredibly necessary for mental health. A balanced throat chakra is evident when one speaks their truth from their heart freely while still being mindful of the impact of their words. 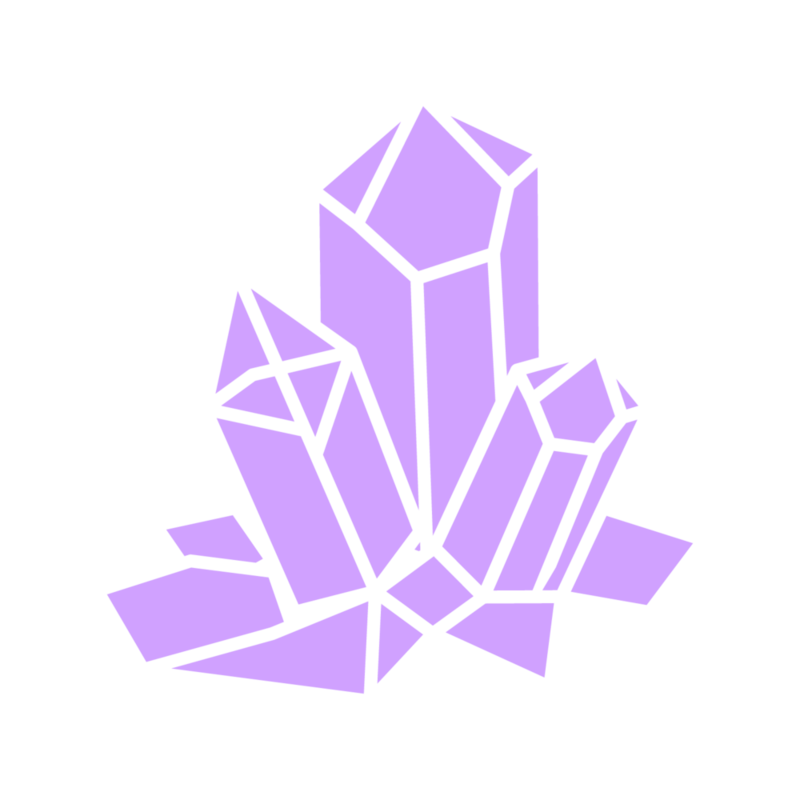 A throat chakra that is too closed off presents itself as passive and can result in repression of thoughts, feelings and desires or an inability to aptly express one’s self. On a physical level, this could lead to thyroid or respiration issues. A throat chakra that is too open could manifest itself in aggression or speaking too much and out of turn, without respect or thought to the impact of one’s words. Lies are the main nemesis of this chakra and throws it completely off balance. 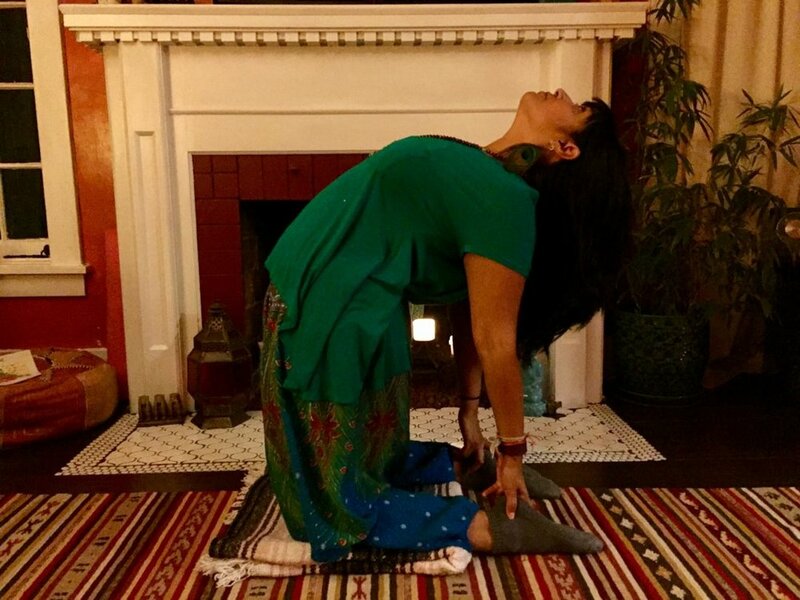 I choose camel pose (ustrasana) to demonstrate an open and balanced throat chakra. I love this pose because both the heart and throat are exposed. While working on this chakra, I was told by a healer than if I spoke my truth from my heart, I could not go wrong. I have become so much more open in my heart and being in touch with my truth and linking this up with my throat chakra helps me express that to others. Journaling. First try expressing yourself in a private manner without fear of judgement. Find a non-verbal, creative form of expression. This may be in the form of journaling or writing, but also may be in an artistic manner of drawing, painting, photography, cooking, etc. Sing. Sing loud. Sing proud. Sing unabashedly. Practice this in your car, the shower and anywhere else you can. Chant. Start or end meditations or yoga classes with a chant. There are great ones on youtube you can follow along with. If this feels too intimidating, start by humming a MMMMMMM sound. Talk aloud in private. You may feel awkward at first, but I encourage you to practice speaking aloud anything you have repressed throughout the day. Without a filter, tell your boss or co-worker what you really wanted to say or speak about all your frustrations with relationships. Sometimes just expressing those feelings verbally make a great difference, or this can help you formulate those raw, emotional frustrations into a more logical, composed conversation you may eventually decide to have with that person. When I first begin to grieve the murder of my father. I would say “dad” aloud over and over again on my commute home from work. I could barely say the word without breaking down and it helped me to begin opening up about my feelings regarding his loss. This has been the chakra I have (and continue to) the most active work with. It does not come naturally for me to speak my truth, but with very mindful intentions, I am slowly getting there.